This is an awesome apartment! I've been here for over 3 years now and love it :) 12 month + lease - Friendly, clean &amp; reliable housemate wanted. *Please - no couples! Your own room &amp; your own bathroom. Spacious with plenty of storage space (Mirrored built in robes). There's room for up to a king size bed, plus bedside table, tallboy or study desk also. The property complex has a well equipped gym, pool, 3 courtyards and an onsite café. Public transport right on the doorstep. The apartment itself has great sky high views over Richmond, with a private lengthy balcony, fully furnished (except spare bedroom) and is in perfect condition. It features: As new kitchen, stainless steel gas cooking appliances, stone bench tops, dishwasher and plenty of storage. As new bathroom with modern design and storage. 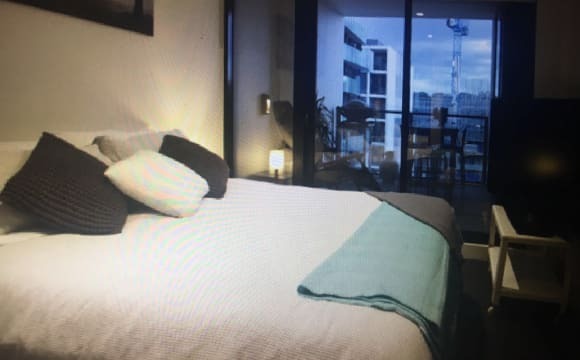 Carpeted bedrooms living area with split system heating and cooling, roller blinds, private balcony, secure swipe card access to foyers, lifts and video intercom system. Make yourself at home and relax in the comfort of your own room with ensuite bathroom. You will live in one of the best properties you can find in Richmond and with the tram stop right outside your house you are minutes from the beautiful City of Melbourne and all that it has to offer. Luxurious living at it's finest- You will have a lot of space for yourself whenever you feel like it either in your own room which is quite spacious or the endless options we have in the common property - An ultra-modern lifestyle experience is on offer at the luxury Sanctuary-on-the-river at Acacia Place, where you can enjoy the facilities of a heated swimming pool, spa, gym, sauna, health retreat, yoga studio, sundeck, barbeque plus rooftop cinema. There are also entertaining spaces and riverside cafes within the apartment complex. There's 24-hour CCTV security and building managers are on duty. You will also have a direct access to the river bank and the Main Yarra Trail which runs along the river. Richmond has several of Melbourne's best cafes and boasts over 100 multicultural restaurants. Shops, supermarket, eateries, IKEA and entertaining options at Victoria Gardens Shopping Complex are few steps away. The tram is right outside your doorstep and provides speedy access to the CBD. Situated amidst stunning greenery and on the tranquil banks of the Yarra river, it is perfect for a stroll and relaxing with a book. You'd never know you're only minutes from the heart of the City! New building, modern design and fixtures. Thick brick walls for optimal sound insulation as well as heating and cooling. Double glazed Windows make it very quiet. The elegantly fitted apartment features an open plan living area with reverse cycle heating and air-conditioning, provision for laundry facilities, open plan kitchen area leading out to a generous alfresco balcony. The kitchen provides stainless steel appliances including dishwasher, oven and gas cooktop. The bathroom includes modern luxurious fittings and a large shower. LEASE TRANSFER Modern, clean and very comfortable 2 bedroom plus study (or small additional bedroom) apartment backing onto the riverside in beautiful Abbotsford. The building gives you access to an indoor heated pool, gym, courtyard with BBQ facilities overlooking the river, and secure car-space in underground parking. 5 minute walk to all amenities at Victoria Gardens, 15 minute tram(12 + 109)to the city from Victoria street. $475 per week ($2064 per month) Unfurnished AVAILABLE April 24th - preference given based on below criteria as well as being able to start as close as possible to this date. Current lease until August 19, with the likely possibility to renew lease with landlord after this date. According to our real estate agent, only persons who meet the below conditions will be considered: - Previous rental history (must be verifiable, agency preferred) - Monthly before-tax combined household income of $6,192; (verifiable by employment contract / pay-slips). Welcome to our pad! We have a beautiful room going from May,5th! It’s the master bedroom, the biggest in the house with two windows and sunlight, a big bed, big wardrobe, a desk and bedside table . LOCATION (50m from Collingwood station) , an awesome spot! Our home is a 3 bedroom single storey Victorian terrace in good clean condition, has beautiful rooms, a nice big lounge for chilling, a spacious kitchen and a backyard! The ideal housemate can be an INDIVIDUAL / 2 FRIENDS who want to share the room (separate beds available) or an easy going COUPLE. Preferably 25+ young professionals, wanting to share a home with good vibes all round. You'll like cleaning and washing up plates after yourselves, sharing a good chat and making friends! Also respecting personal space and just be considerate of noise. Not a party house. You'll be living with Katie and Sara, both just turned 30 years young. Katie is Australian, works in a busy cafe/bar, loves cooking, art and snowboarding. Sara is Italian, language teacher, loves socializing, nature gataways involving the ocean, cycling. And more. Shoot me a message! My Homestay in Abbotsford, is a great apartment for International students or workers wanting a very quiet place to live. 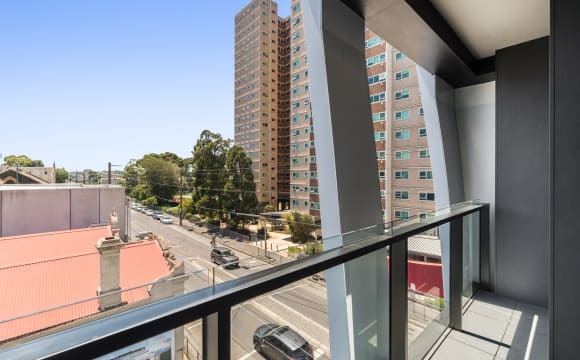 Its just a 5 min walk to the tram in Victoria St Richmond ( tram 109) which goes directly to the CBD or to the Collingwood or North Richmond train stations which are a couple of stops from the CBD. There are supermarkets, cafes and shops all close by. I have one cosy furnished bedroom with its own private bathroom and double bed available early in June 2019. The rent ($1520 per calendar month) covers all bills and internet. I also have a really large bedroom with Queen bed and its own ensuite bathroom available in early July 2019 for $1650 per month all bills included. The townhouse has 4 levels with a beautiful rooftop terrace. If you are looking for a peaceful welcoming place this would be perfect. I have travelled a lot and have had students live with me from all over the world for the past 12 years and it has been awesome. I want to provide you with a happy place to relax and study. Hopefully it will feel like a home away from home. Smoking is ok on the balcony or rooftop. 4 month minimum stay. No couples. You just need to supply your own food and toiletries. If this sounds like what you are looking for please contact me. ... Cheers... Indi. The room is bright and spacious at the back of the house with lots of natural sunlight coming from a large glass door. It’s also got built in wardrobes. The room comes unfurnished but you are able to buy a bed and two bedside tables very cheap (can send pictures of these) if needed. In total the house has 3 bedrooms and two bathrooms and you will be sharing the larger bathroom with only one other person (win!). The house is located on Church St and you’ve got all the amazing Asian food on Victoria St at your doorstep. The area is super-cozy with cafes, bars, parks and the Yarra river trail a few minutes away. Close to The Convent and Lentil As Anything. Tram 12, 109 and 78 are all 2 minutes walking distance for easy access to the CBD &amp; Chapel St. Ikea and North Richmond train station are both 10 min away. 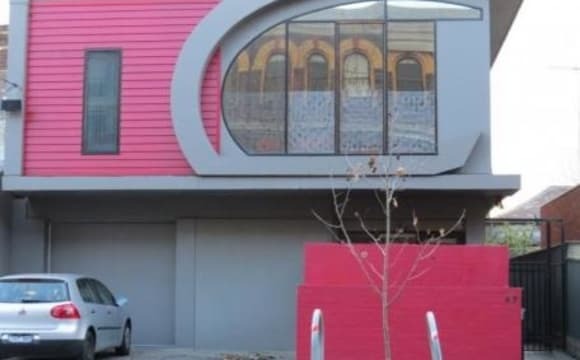 Close to Collingwood and Fitzroy for awesome bars etc. The location is gold! There is a lovely balcony at the front, a large terrace at the back for entertaining, a modern kitchen and a large open plan living room. Upstairs there is Aircon, and throughout the house (including the rooms) there are heaters. The house has kept cool when the weather was scorching, but is also warm and comfortable when it gets cold outside. 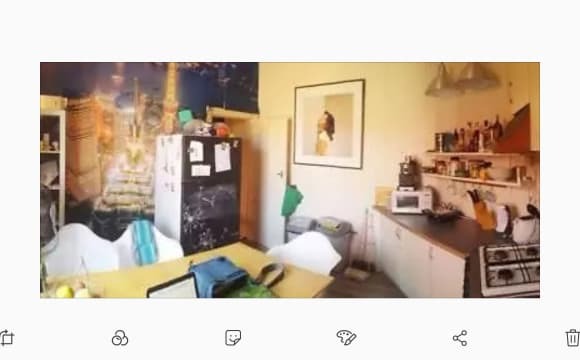 The house also includes a dishwasher and a washing machine. A great community with friendly neighbours. Accessible to work life, bird life and night life. 5 minutes walk to Victoria park station. 5 minutes walk to Dights falls reserve. 15 minute commute to Brunswick street. Regular PT. You'll have access to cable internet, aircon and loads of wardrobe space, plus a garage. My apartment is absolutely inner city, so super close to everything you'll need. It's two storey, spacious and light, fabulously furnished and ready for you to move in. The room available is the downstairs master bedroom, with large ensuite and sunny courtyard. The room is fully furnished and is available for short (min 4 wks) to medium term (3 - 6 months). My preference is for an employed professional aged 45+ My apartment is a 5 - 10 minute walk to: * Trams and trains - 15 min trip direct to the city centre * The many fabulous restaurants in Victoria St * Supermarkets and local shops * The cafes and boutiques of Smith St &amp; Gertrude St. * The Yarra River, Abbotsford Convent and parklands Whilst there is little need for a car, there is also off-street parking. The apartment is in a quiet block of 4 townhouses and is not a party house. Therefore I look for people who are quiet, respectful and independent. My preference is for mature, professional guests / travellers/ visiting artists or academics (pretty handy to Uni Melb, RMIT etc). If you're wanting to stay longer term, I'd ask for references. 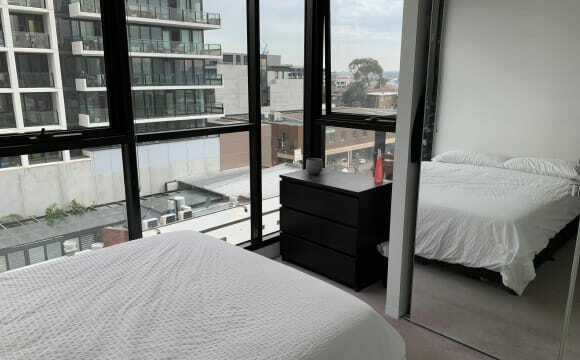 Room will be ready for inspection from this saturday 6.4 Its on the great location in Abbotsford, close to CBD, parks, short walk to cafes and Victoria St and trams 109 and 12. 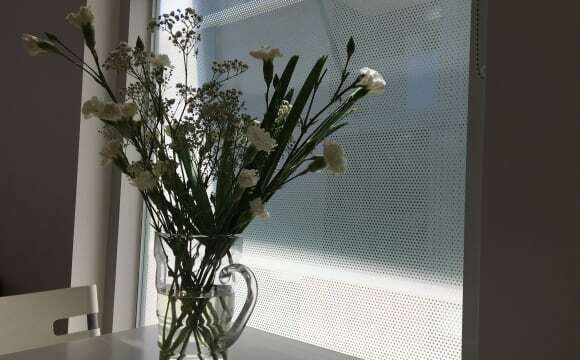 Apartment has a ultrafast internet and is included in the rent as well as all the bills. Looking for tidy, easy going person, respectful of others privacy. 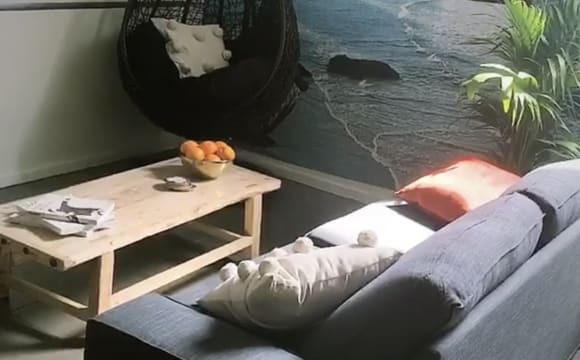 Recently renovated fully furnished house close to tram, train, bus, restaurants, supermarkets, Swinburne, RMIT, Melbourne uni amd other tertiary institutions. 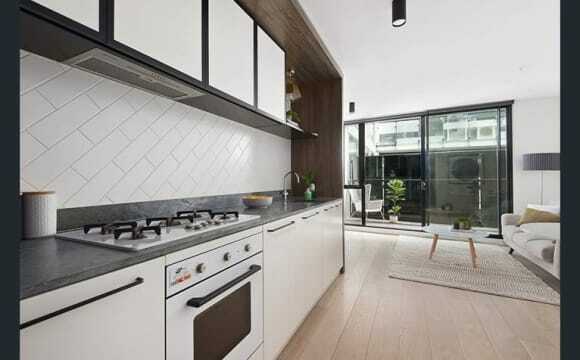 The property is located 2km from Melbourne's CBD and within moments walk of Victoria Street, Aldi, Woolworths, trams (109 &amp; 24), trains (Collingwood and North Richmond Stations) and popular bars and restaurants such as The Avairy, The Vic and 3 Bags Full. The room for rent (with built in robe) has its own private balcony and shares a spacious bathroom and kitchenette/living area. The room is carpeted and has its own split system air con/heater. The property has keyless entry and is secured via an alarm system. I have a washing machine which is available for your use. 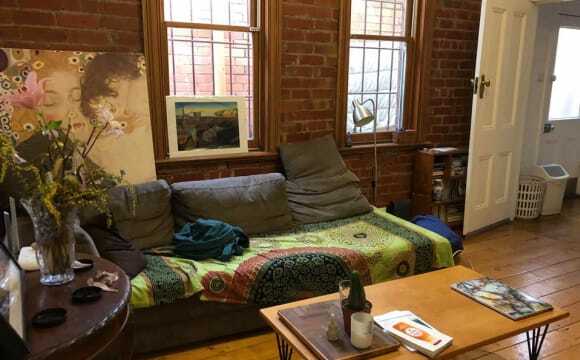 The room is $300 per week + unlimited internet ($30 per month) + bills. Requires bond equivalent to four weeks rent and is available May 7. 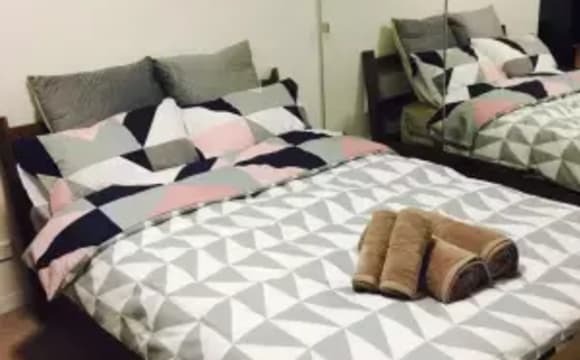 Hi All, One fully furnished bedroom (including bed linen, pillows, blankets, kitchen utensils and crockery) is available in this amazing 2 bed 1 bath modern apartment in Abbotsford. Rent is inclusive of all bills and unlimited NBN internet. Place is furnished with brand new furnitures and appliances. Gives tenants a sense of comfort and style. Available bedroom is with floor to ceiling mirrored wardrobes, which includes desk and office chair for work/study, contains a large queen bed with new mattresses to ensure you get a great sleep! Private balcony facing north - new outdoor chairs and table for enjoying the views and sunset. It also includes brand new 43" LED 4k smart tv for drama and movie binge! As well as: - washing and drying machines - dishwashing machine Most convenient location: - literally opposite Victoria Gardens shopping centre / IKEA Richmond - Coles, Kmart, Hoyts, Fitness first etc. 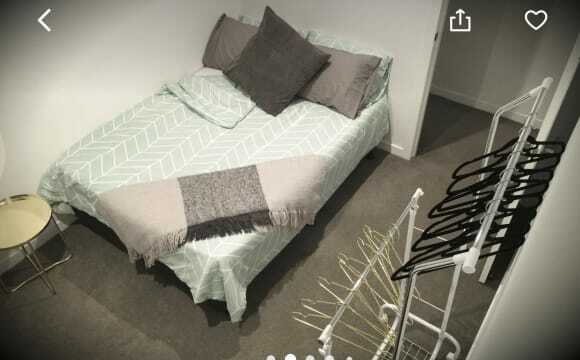 - tram stop right outside your doorsteps (route 109 and 12) - on-site indoor heated 20m pool and gym (modern and clean) - located a few hundred meters from the busy Victoria St strip that has diverse shops and restaurants - on-site childcare and cafe The apartment is only 3 years old, and is spacious and bright. Modern kitchen with Miele appliances and four gas cooktops with oven. The apartment contains bed linens, plates, cutleries etc. Has underground parking for 1 car Perfect for travelers, uni students, professionals. 1 tram ride to RMIT, Swinburne Uni etc. P.S.- Smoking on the balcony only please. -Please note - NOT a party house! Fully Furnished short term rental! No hassle, bills included. Easy access to the city by tram, lots of cafes and restaurants in walking distance. The location: Perfect. 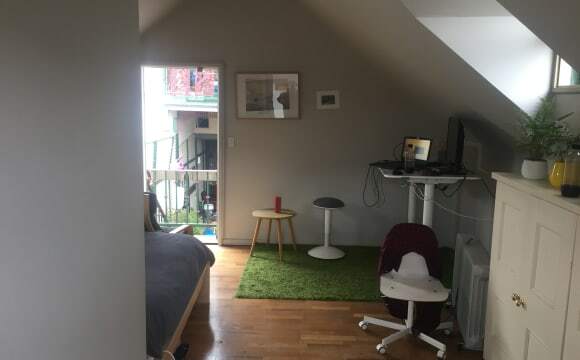 Situated just off Johnston Street between Smith and Hoddle, the house is in a cosy little pocket that’s both quiet and obnoxiously convenient, with a plethora of transport options to choose from - 200/207 bus (20 metres away), Victoria Park Station (4 minute walk), or the 86 tram (7 minute walk). Supermarkets, bars, cafes and restaurants are many and varied. The house: An old (charming) two storey terrace with modern renovations. The downstairs has wooden floors throughout, a surprising amount of natural light for a double decker house, a really gutsy gas heater for cold nights, kitchen, bathroom, and the bedroom on offer. The upstairs has two more bedrooms and a small central lounge area. We share a delightful courtyard with our neighbours, who we know really well and have proven handy to have around. The room: Situated on the ground floor (no hauling your bed up the stairs), the room comes equipped with really nice floors, a nondescript ceiling, two whole cupboards, and a decorative fireplace. It’s big enough for a bed and a desk, with room to spare. The huge window and easterly aspect provide stunning morning sun, and our landlord has provided even lovelier blackout blinds. We’re looking for a housemate who’s in a comparable age range, around 30-35, working and/or studying. The details: $214 pcw = $928 pcm $928 bond Bills not included, usually a fairly reasonable $100ish a quarter $13 for internet per month Looking to schedule interviews fairly soon, so get in touch if you’re interested or have any questions. 10 minutes drive to flinders; woolies and church street ( a huge range of restaurants) just near by with in 500 mts distance; with all you need a good place to live. -semi-furnished room (welcome to bring your own furniture I have a spare study to move the bed in there into) - All usual kitchen amenities - choice of two rooms (both with built in wardrobes) - Laundry with Washer and dryer - furnished apartment (i am lacking a working TV but if you have one you can use my netflix ) - Close proximity to trams and train station. - Walking distance to coles, woolworths, aldi and IGA. - Close to CBD. -indoor carpark. Hi. All Collingwood new fully-furnished, two-bedroom/one bathroom apartment has one large room is vacant from 7 May for a minimum 6-month stay. Location is 21 Robert St, Collingwood, corner of Wellington St. Minutes walk to Smith St and Victoria Parade. Only 15minutes travel time on Tram No.109/No.48/No.12 to city. Apartment facilities large sofa, dining tables, new kitchen appliances and laundry. NBN fibre to the premises Internet in the house! Your bedroom has a queen size futon bed (Japanese style low base wooden bed), large mirror wardrobe with huge storage space, and own desk and chair. Ideal tenants will be mature, respectful and tidy professional, students or working holiday visa holders. (only for couple!) You will be sharing the apartment with a couple from USA and Belgium in their full-time hospitality role, who are mature, responsible and tidy. Weekly rent : $370 for two Bond: $760 (two-week rent) One set of door key and building pass/per person Inspection is available via txt or reply this ads. It won't let you down! Thanks for reading. Hi. 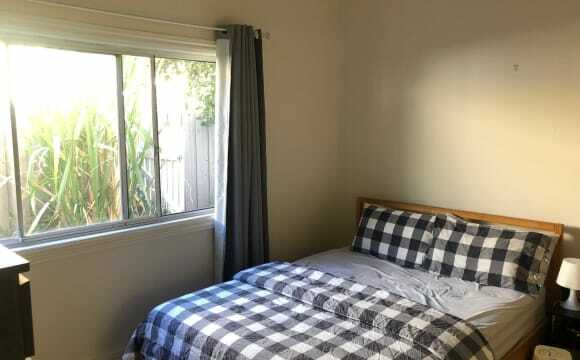 All Seeking for one couple or one professional single to occupy the furnished bedroom within my 2 Bedrooms/1 bathroom @21 Robert St, Collingwood, corner of Wellington St. Minutes walk to Smith St, Johnson St, Brunswick St and Victoria Parade. Only 10 minutes travel time on Tram No.109/No.48/No.12 to city. Available from 7 May, minimum 6 month lease. Apartment facilities large sofa, dining tables and Sony Tv in the cozy living area, as well as new kitchen appliances and laundry. NBN unlimited premium speed Internet in the house! Bedroom has a queen size futon bed, bedside tables large mirror wardrobe and your private little balcony. You will be sharing the apartment with an European couple in the hospitality field who are quiet and tidy. Weekly rent : $370 for two Bond: $740 (two-week rent) One set of door key and building pass/per person Inspection is available via txt or reply this ads. It won't let you down! Thanks for reading. The space is very modern. 3 levels with wooden floorboards in the kitchen/ living room area which opens up to a small balcony with a vertical garden. All rooms have reverse cycle air con. The bedroom has mirrored BIR . Modern bathroom shared with 1 other. Great location. We are a minutes walk to Smith St, Woolworths, cafes and bars. 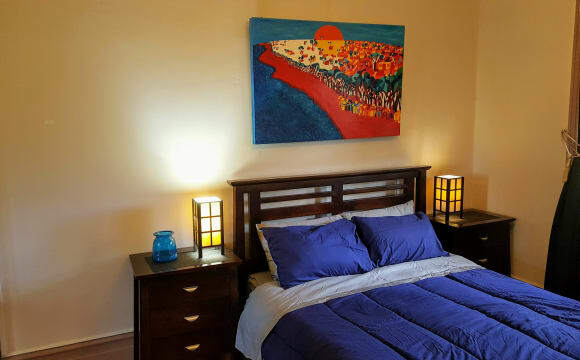 Description of bedrooms â€œBedroomâ€ is available: May 21, 2019 Size and furniture: queen size room, with or without a bed (queen bed available). 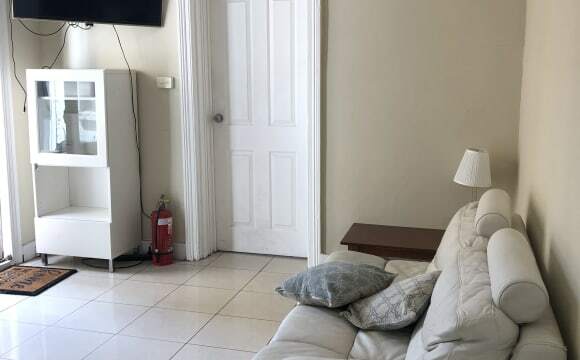 Features and facilities: Air-conditioner, Broadband Internet, Shared bathroom, Heater, Built-in wardrobe Rent and bond: Bond - $500.00 A single for their own room is $265.00 per week, paid monthly, excluding all bills. Availability period: Available for 6 months to indefinite. Other information: It is a cosy, quiet room with large Built ins with mirrors and carpeted flooring. The bathroom is shared with one other. Bills and expenses We divide the bills up between us. for gas, electricity and internet. Both of us work full time in hospitality (mostly evenings) We like to relax and have a beer/wine at home, but not into massive parties at the house.We are very social, but also like our privacy. Alana- Enjoys going to art exhibitions, going out with friends for coffee/ wine and socialising. Clean and tidy :) Brenton- Enjoys exercising, going out with friends for coffee/drinks, outdoor activities, cooking/eating and playing video games. We are looking for a responsible person or couple to sublet our awesome one bed Collingwood flat while we are away. We would like somebody mature who will look after our place and things and water our plants! :) and of course leave it clean and tidy. This is not a party flat/building and there is a great community feel between neighbours. We'd like to keep it that way :) Ideally looking for someone to take for all of the period we are gone (9th May - 10th June). Some key points: - new development, just over a year old - fantastic location, 2 minutes walk to trendy Smith Street, 10 minutes to Gertrude Street and 15 minutes to Brunswick Street - essential amenities nearby, such as 86 tram, Woolies, Coles and countless restaurants/bars - 30 minutes walk to the city - double bedroom with built in wardrobe - private balcony, accessed from bedroom and living area - communal rooftop with BBQ and city views Price of $495/week includes NBN broadband. Other bills (electricity and water) are in addition and there is a 2 week bond. If you're interested shoot us a message with a bit about yourself/selves and we'll get back to you to arrange a viewing. ONE BED ONE BATH AND ADDITIONAL DOUBLE SOFA BED Welcome to Collingwood Cribs! We are perfectly located in the Smith Street Precinct, allowing you access to all that the local area and greater city of Melbourne has to offer. Our beautifully designed apartments will be perfect for a long or short stay. Smith Street and the surrounding lane ways are famous for their culinary delights and amazing coffee. Slightly beyond your door step you have the Melbourne CBD, MCG, Melbourne University and Museum all approximately a 15 min walk away. Welcome to Collingwood Cribs! We are perfectly located in the Smith Street Precinct, allowing you access to all that the local area and greater city of Melbourne has to offer. Our beautifully designed apartments will be perfect for a long or short stay. Smith Street and the surrounding lane ways are famous for their culinary delights and amazing coffee. Slightly beyond your door step you have the Melbourne CBD, MCG, Melbourne University and Museum all approximately a 15 min walk away. 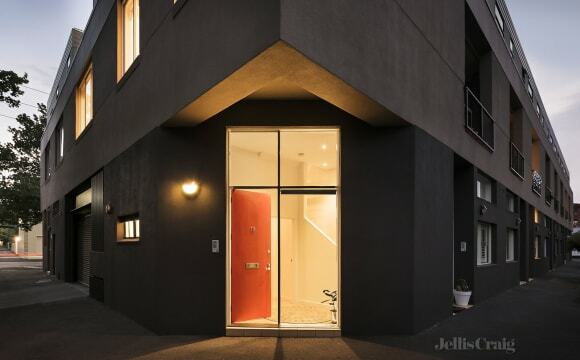 It's super close to Smith street, as it's split across many levels there's great privacy. 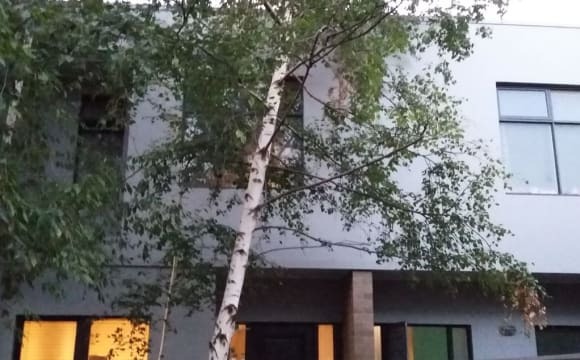 It's amazing for entertaining, has easy parking (you can even park in front of the garage door so there's an unofficial 3rd car parking space, lovely and quiet, off the main street, it's a really impressive place where people walk in and just say wow! The apartment is extremely modern with European appliances, aircon, laundry and large kitchen/living. The apartment will be entirely furnished but the room will not be. It is located close to the city, public transport and well situated near nice restaurants and cafes. The room is spacious and the bathroom with high quality fittings. Neat Fully Furnished Unit! We are perfectly located in the Smith Street Precinct, allowing you access to all that the local area and greater city of Melbourne has to offer. Our beautifully designed apartment will be perfect for a long or short stay. It has a pool, TV with Netflix compatibility, air conditioning and laundry with washer dryer. Smith Street and the surrounding lane ways are famous for their culinary delights and amazing coffee. Slightly beyond your door step you have the Melbourne CBD, MCG, Melbourne University and Museum all approximately a 15 min walk away. Our apartment is in an awesome location, so close to everything! We have an open plan kitchen/lounge room, European style laundry, split system, Netflix, internet and large sliding doors that provide plenty of natural light. 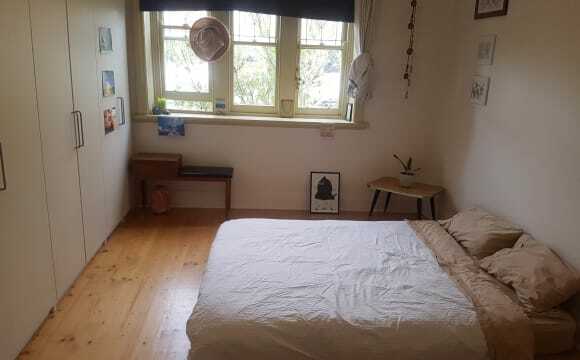 I am looking for someone to rent my room whilst I am away in northern NSW (from 3 months to 12 months). My flatmate is a lovely Irishwoman, a 32 year old professional who works fulltime in the CBD. It is a beautiful new apartment in a boutique block. The apartment is a quality, architect design, it is very light with a generous north facing balcony. It is fantastic in winter with the sun beaming into the lounge area. It has a full kitchen with European appliances. The bedroom has a double bed and an ensuite, with lovely views to the north and east. You can watch the sun rise from bed, its great. 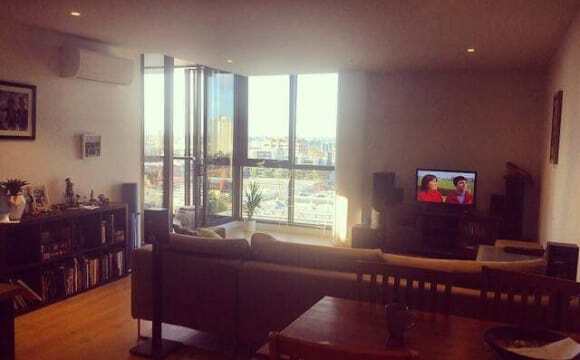 The apartment is a lovely place to come home to - and the area is (we think) the best suburb in Melbourne. Our location is in the heart of Collingwood, just off Smith St, and is lifestyle plus with the best food and coffee on or adjacent to our street. We have our own wine bar, Congress. Collingwood is super central, 2.5 kms to the city, only 20 minutes walk to Spring St through the Fitzroy Gardens, same to Carlton or the north of the city via Exhibition Gardens. Or you can catch the 86 tram from the top of the street, the train station is 5 minutes walk. There are also great walks along the Yarra to the Abbotsford Convent.